Taking control of sites across 12A and 12B static temporary traffic management measures, you will oversee all aspects of installation, operation and removal. 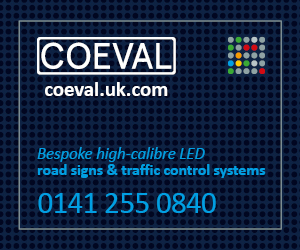 We will look to you to get the most out of our Traffic Management Crews, whilst ensuring continual adherence to Health & Safety best practice. At the same time, you will proactively train and mentor less experienced members of the team, and will respond rapidly to any adverse incidents. From initiation to end of shift, you will provide clear and confident leadership – doing whatever it takes to fulfil client requirements whilst carefully mitigating risks. Having been involved in both 12A and 12B works, you will be a team-spirited, adaptable and effective foreman with a high level of physical fitness (including the ability to pass a safety critical worker medical). A full UK driving licence is naturally essential, with an HGV licence (including IPV qualification) being an advantage, and you will be capable of interpreting rules, balancing priorities and taking considered decisions under pressure. Finally, TSCO, 12C Operative and 12D RTMO qualifications (with a minimum of 1/2 and 6, ideally plus 4 and 5) would be ideal, but more importantly you will bring a flexible approach and be happy to work on a 48 hour contract, including evenings and weekends.